Wednesdays to Sundays 12:00 to 6:00 pm, 12:00 to 8:00 pm on Thursdays; closed Mondays and Tuesdays. 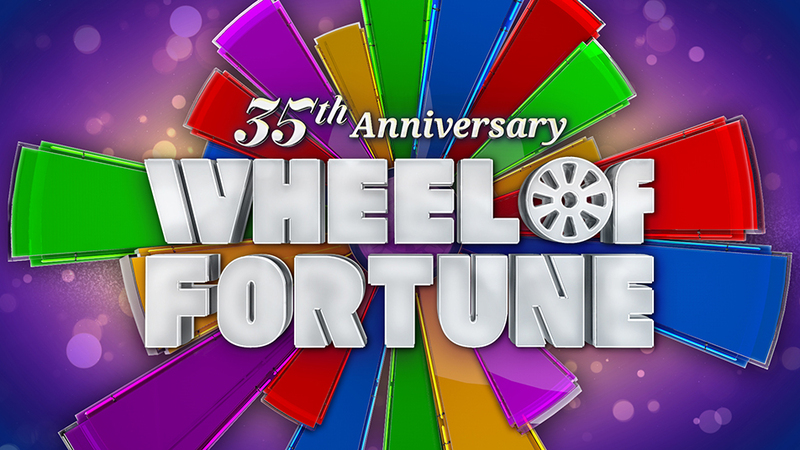 The Paley Center is thrilled to celebrate the 35th anniversary of Wheel of Fortune, the highest rated syndicated show in television history, with an event with Pat Sajak and Vanna White in person on November 15 along with an exhibit that remains on display until December 3. EXHIBIT: The exhibit of photos, memorabilia, and videos will be on display through Sunday, December 3, 2017. Details below. Pat & Vanna In Person at Paley! 6:30 pm Panel with series stars Pat Sajak and Vanna White and Executive Producer Harry Friedman. · Wheel memorabilia, including the popular ceramic Dalmatian from the prize shopping days. · One of Vanna White’s actual designer gowns. · A video display, “Changing Lives,” stories of how being a Wheel contestant has made a difference in some people’s lives. · A photo montage of series stars Pat Sajack and Vanna White through the years. · Video clips from some of the more than 45 countries that have produced Wheel of Fortune locally, including Poland, Vietnam, Turkey, and Georgia. · Scale models, production plans, and set photos for some of the 65 times Wheel has been produced on location across the country. · A montage of classic clips from the show’s early years, when Vanna White still turned the letters and contestants shopped for prizes. · A video compilation showing Vanna in some of the 6,500 different dresses she has worn over the years.